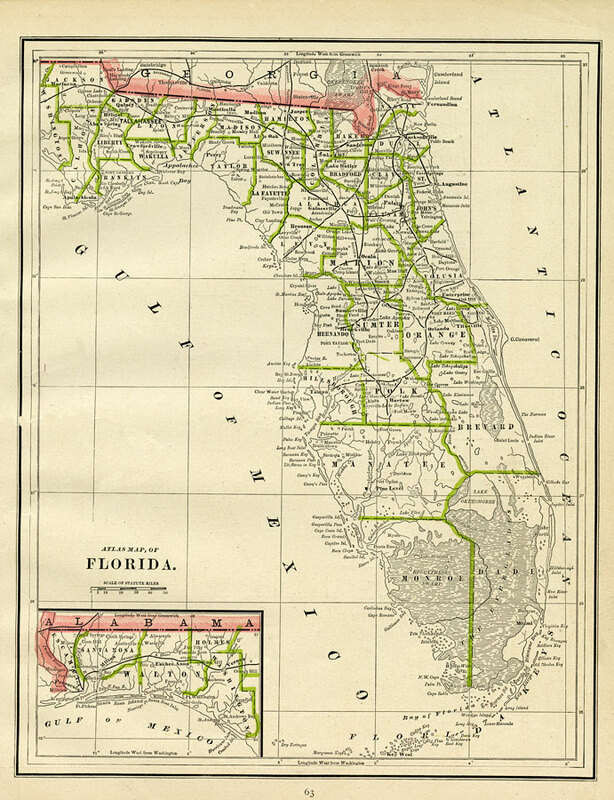 Description: A map of Florida showing county lines current to 1886, including each county seat and major towns. The railroad system extends only as far south as Tampa on the Gulf Coast, Bartow in Central Florida, and Titusville on the Atlantic Coast. Major rivers and wetlands are shown as well as relatively detailed information of the coastline, the Florida Keys, and barrier islands. Longitude is shown as west from Greenwich at the top of the map and west of Washington at the bottom of the map. The western panhandle (approximately west of the Apalachicola River) is shown on an inset map.